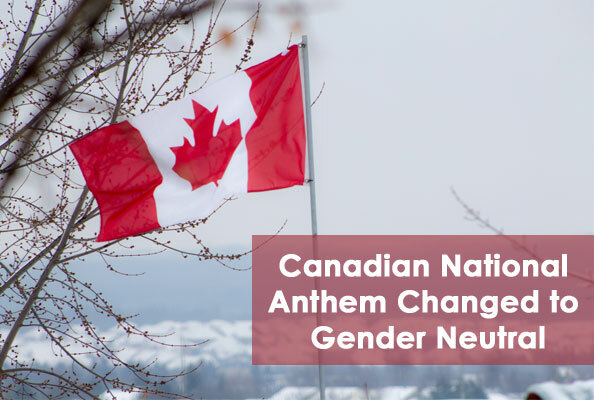 Members of the Red Chamber have passed a bill which makes O Canada gender-neutral. The vote was not unanimous as some Conservative senators made a stand against the change. The bill had come before the Senate following its introduction to parliament by late Liberal MP Mauril Belanger in 2016. The bill changes the lyric, "in all thy sons command" to the gender-free "in all of us command". It is the twelfth attempt to eliminate any gender references in the anthem since 1980. O Canada was originally written by Robert Stanley Weir in 1908 and has been changed many times with the first edit coming in 1913. The bill for this most recent change was sponsored by Senator Francis Larken who reacted favourably following the vote. Not all senators were in favour of the change and boycotted the final vote. Longtime foe of attempts to change the anthem, Manitoba Senator Don Plett claims he was prevented from speaking in opposition to bill thanks to time-limiting motions which he viewed as an insult to democratic principles. "When a majority of individuals decide to shut down discourse in this place, democracy dies. We need to be very wary of tools that muzzle debate ... that is the fundamental right you have, to get up and speak on any piece of legislation, none of us have the right to take that away," said Plett. To see how much Canada's anthem has been altered over the years, it's interesting to review the original, 1908 lyrics below.